Narrative: On Thursday, January 23, 2014, at approx 12:00 AM, the Spokane Fire Department dispatched 4 engines, 2 ladder companies, 1 heavy rescue, and 2 battalion chiefs to a reported structure fire at 902 E Boone, the Hamilton House Apartments. The caller stated there was a fire in the laundry room. First arriving Station 2, located in the Logan Neighborhood, reported light smoke on the first floor of the building. Upon further investigation they found an advanced fire in both the laundry room and a nearby storage room. 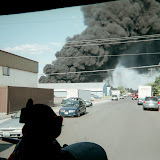 At this point the smoke began to intensify so the structure had to be evacuated. Several crews attacked the fire while others evacuated the four story structure. STA was contacted and they dispatched two buses to the scene to shelter the evacuated occupants. The fire was quickly brought under control and all occupants were evacuated without incident. All occupants were able to return to their homes after approximately 3 hours. There were no injuries to firefighters or civilians. Damage: The laundry and storage room sustained heavy damage with moderate damage to a nearby office. Narrative: At 3:16 A.M. on Sunday, January 19th, the Spokane Fire Department responded to a reported structure fire at 609 E. Euclid Avenue, on Spokane’s north side. Engine and Ladder 2 arrived on scene within four minutes and reported smoke and flames visible from a basement window of the single story, wood framed fourplex. Fire attack was immediately initiated, simultaneously with a search of the structure for victims. Six occupants were evacuated from the structure, two of whom suffered injuries during the fire. One of the injured victims, an adult male who was rescued from the fire area by firefighters, suffered second and third degree burns and smoke inhalation. He was treated by paramedics at the scene and transported to Sacred Heart Hospital, and later transferred to Harborview Medical Center in Seattle for further treatment. His condition is unknown at the time of this release. The other injured victim, an adult female, was transported to Deaconess Hospital with a minor knee injury. The fire was quickly knocked down and confined to a basement hallway and stairs. There was minor smoke damage throughout the structure. 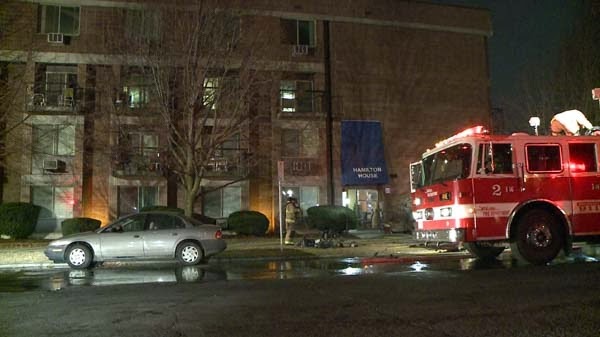 One of the basement units of the fourplex will be uninhabitable until repairs can be made. The residents of that unit are being assisted with housing by the Red Cross. Six engines, two ladder trucks, a heavy rescue truck and two Battalion Chiefs responded to this fire, for a total of 30 firefighters. There were no injuries to any of the firefighters. AMR also responded three ambulances and a supervisor to assist with treating and transporting the victims. Cause: The cause of this fire is currently under investigation by members of the Spokane Fire Department’s Special Investigation Unit. Damage: Damage was confined to the basement hallway and stairs, with minor smoke damage throughout the structure.